Hanging basket plants offer you multiple ways to set them up. They’re good indoors and outdoors. Indoors you need ones that requires less water and dirt. Outdoor you can get more creative. Many plants you wouldn’t think can be hanging basket plants work out great in the air. 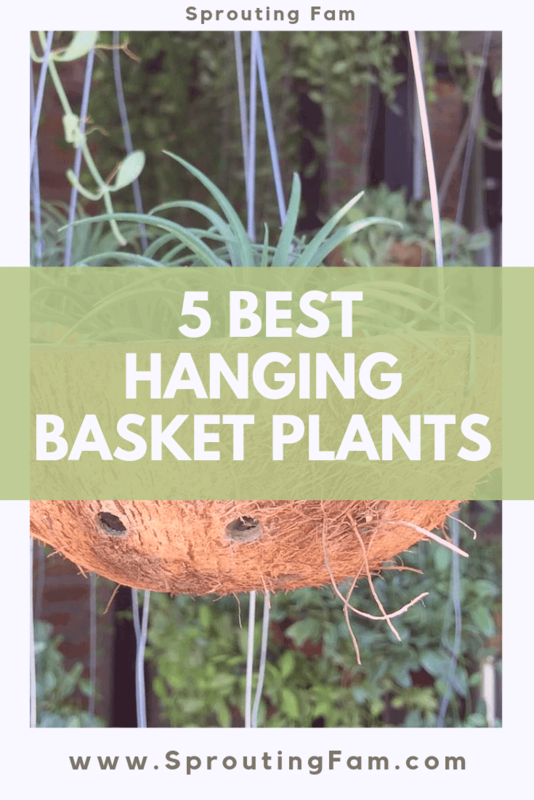 This post on 5 of the best types of hanging basket plants goes over 5 broad types of plants sharing the 1 specific one from it. Mint for herbs and the Alyssum for the flowers. There are endless options and types of hanging basket plants you can grow. Hanging baskets can get creative. I link some good videos below that show hanging baskets made from scratch. 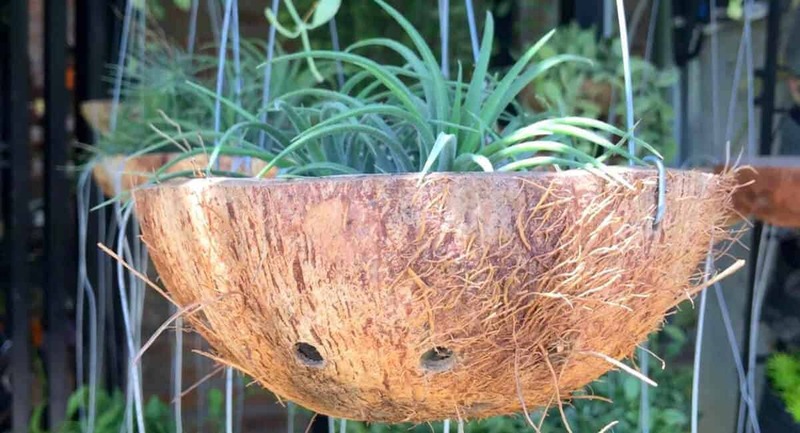 Here’s a hanging planter from coconut. 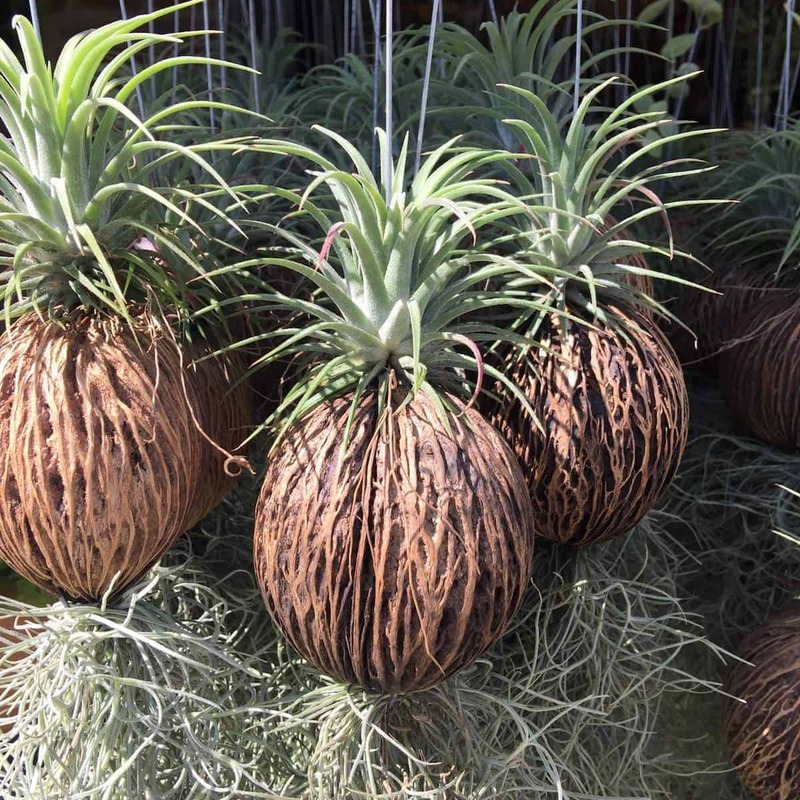 These hanging basket plants span from herbs to succulents to flowers. Each type of plant has many good options that would also work great as hanging basket plants. They’re listed below each hanging plant type. 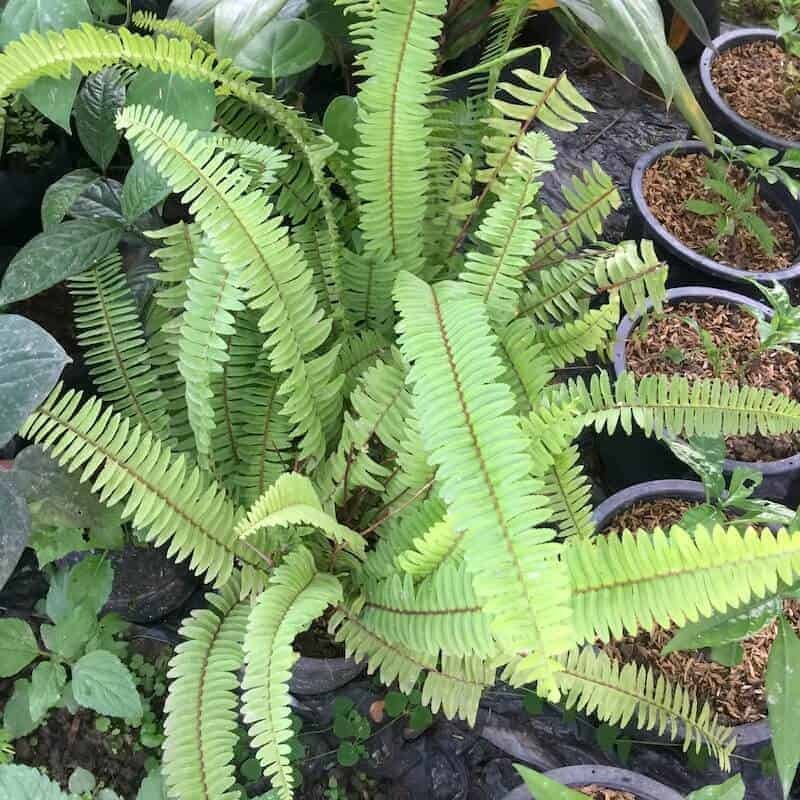 They come in many shapes and forms, but all fern varieties are will those unique spear-like leaves and work as good hanging plants. Ferns like partial to full shade and most do not like a hot full facing sun all day. Pictured below is a baby fern. 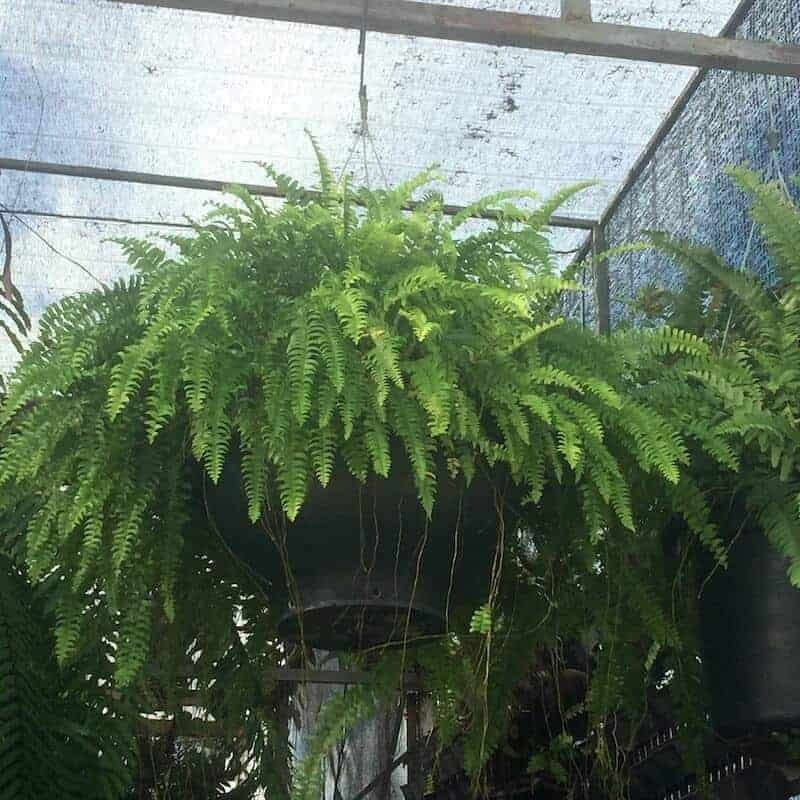 I believe this one is a smaller version of the Boston Fern. I don’t know its official name yet. If you Google the name of the Hemp Cactus you find nothing except for a bunch of stock image sites. It’s strange. I don’t much beyond this cactus than its name from the research. I wonder where its name came from. 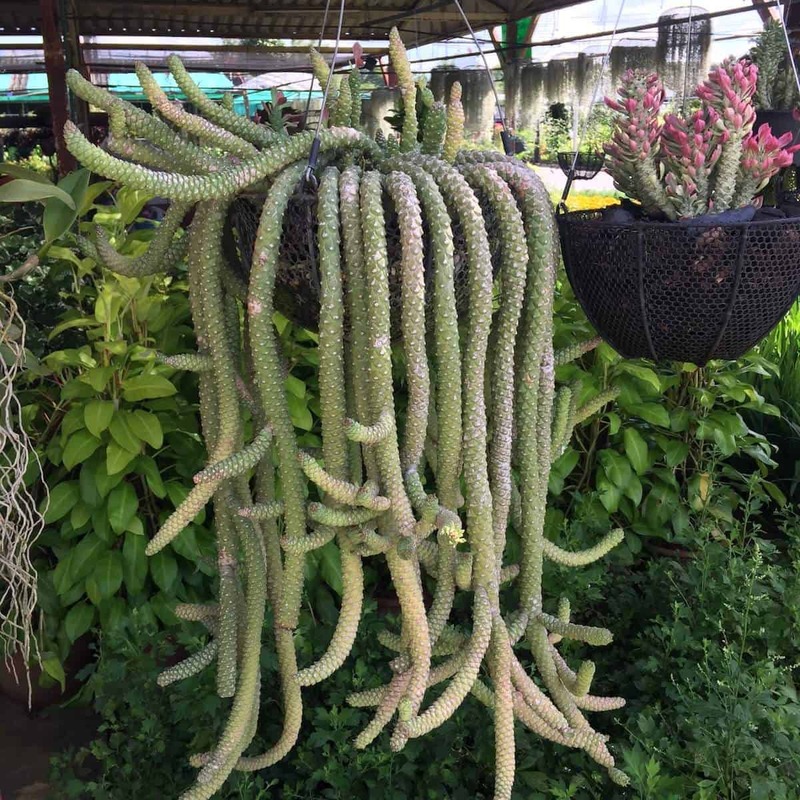 Is there a connection to “Hemp” Cactus, and its spears that look like Marley dreds? It wasn’t until I found this photo online that I learned what this little plant’s name was, Burro’s Tail. I’ve had one of these for years, but its lived through cats and dogs and currently back indoors regaining it’s form, but I had never thought to hang it. 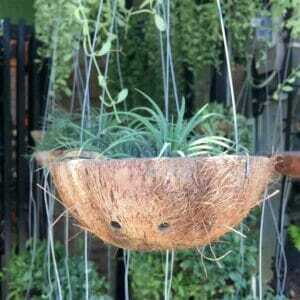 It doesn’t need much water and looks good no matter what kind of hanging pot or planter you put it in or where. One of my favorite plants is jasmine because of the fragrance the white flowers put into the air each year when they bloom for a few months. A jasmine would not be a good hanging plant though. It’s a hearty plant that does better in the ground. But if you want a nice natural fragrance in the air, hanging basket flowers are great. The Sweet Alyssum flowers attract butterflies and bees year round unlike my favorite jasmine plant. it’s also a very easy hanging basket grower. 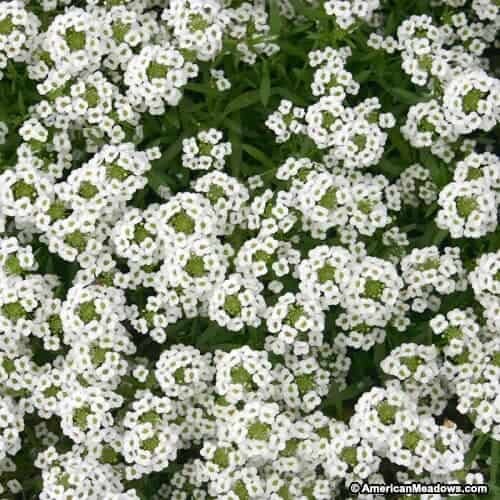 The Spruce has a good article explaining all about how to take care of Sweet Alyssum. Mint is a finicky plant to grow in the ground. I’ve had mixed luck, sometimes they flourish, other times the leaves get smaller and smaller and the plant just dies. Certain types of mint are heartier than others, but all mint works great in a hanging planter or basket. Cilantro is another one I could easily add to this list because it can be fussy grown in the ground. Rosemary, mint and cilantro all do well potted. 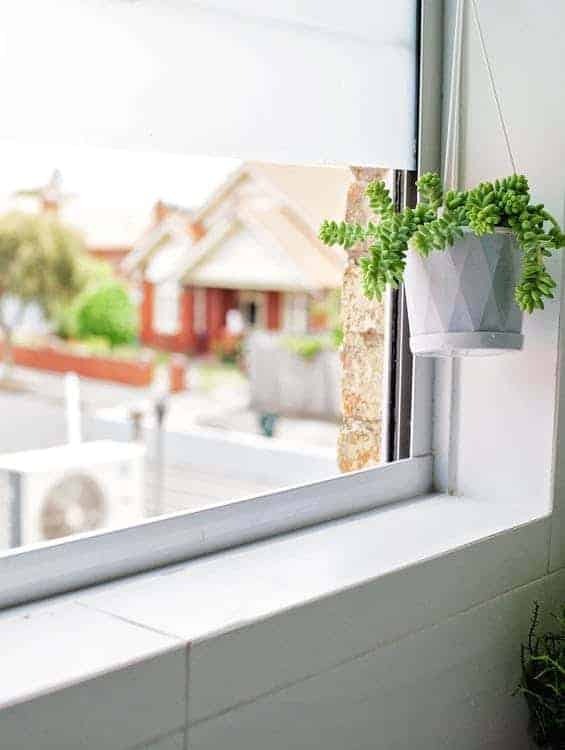 And they do great as hanging plants as long as they get some good sun in. They all need a good amount of sun, but work well grown in hanging baskets or planters. 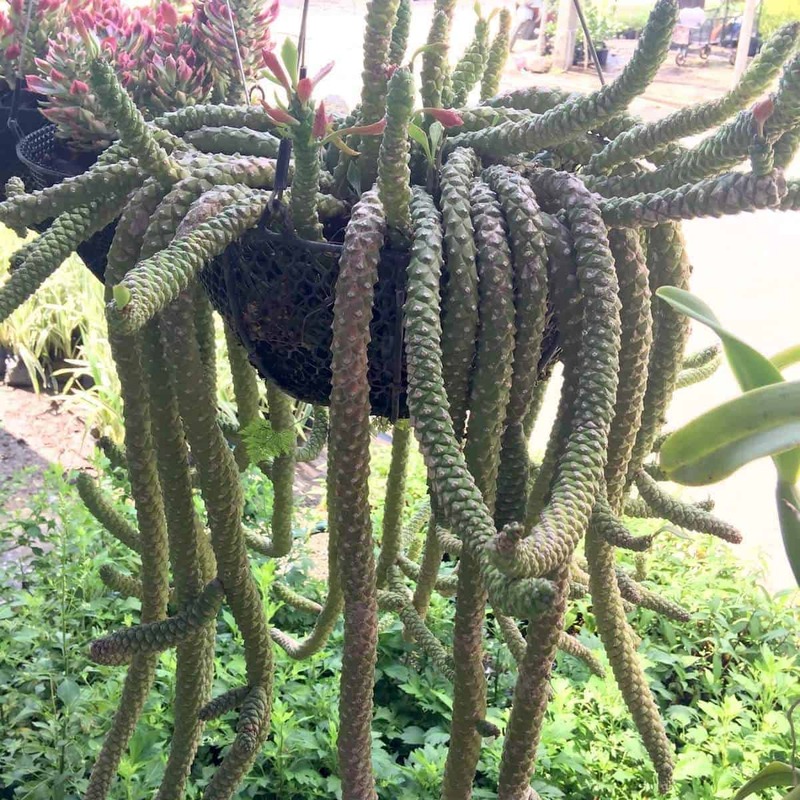 This is a popular plant now because of its low maintenance (as long as it’s in an ideal environment) and unique look. You can do fun things with it. The way it multiplies and grows onto itself over and over means one plant can in the near distance future be 50 plants. They grow slow and attach onto themselves and other things. But the connection is not strong enough to withstand impacts like a flying ball. 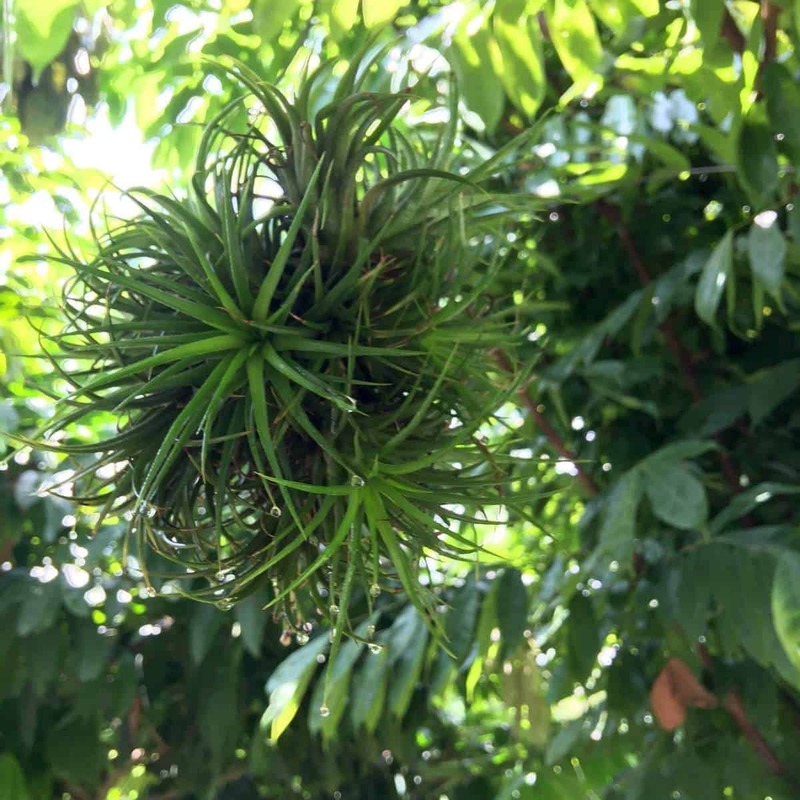 The air plant ball pic below might stay together if that happened, not sure. From metal hanging basket planters, to wicker hanging baskets, there are many. There are wire hanging baskets for plants, liners, plastic hanging baskets and wall hanging baskets. There are also hanging basket stands you can find or make if there’s nowhere to hang it onto where you want it. This shows the endless ideas there are for hanging basket planters and baskets. The main thing is to get the 3 wires or chords in around equally spaces on the pot, planter, basket, etc. and then lead them onto a hanger or string them together so you can hang the top on a hook or carabiner. Water often and thoroughly. Daily waterings to the point of water streaming out through the holes below. The article mentions how plants in containers need more water compared to planted in the ground. A tip they give is to lift the pot above slightly, and if it feels light, it needs water. Or to poke it to feel for moisture. Deadhead Flowers. By plucking off wilting flowers, you promote more flower growth versus their natural seed production at that point. There are multiple factors to look into, but main thing is you don’t want to leave your plants thirsty. Hanging baskets are fill of holes and planters usually have them drilled in. It will depend on the plant, the type of basket or planter, where you have it hanging and the temperature. Normally you would water until the water flows through because it’s hanging plant, not buried in ground where moisture sticks around longer. For this reason, draught tolerant plants and other light water plants are best for indoor use. Ferns & orchids, and others work great as hanging basket plants for both indoors and outdoors. A Gardening Know How article sharing plant varieties and how the work as hanging basket plants. In this post has good information about different hanging basket plants, from the best full-sun facing ones, to the best herbs to grow up in the air. The list is more extensive than mine, so it’s a good resource to learn more about different types of hanging basket plants. 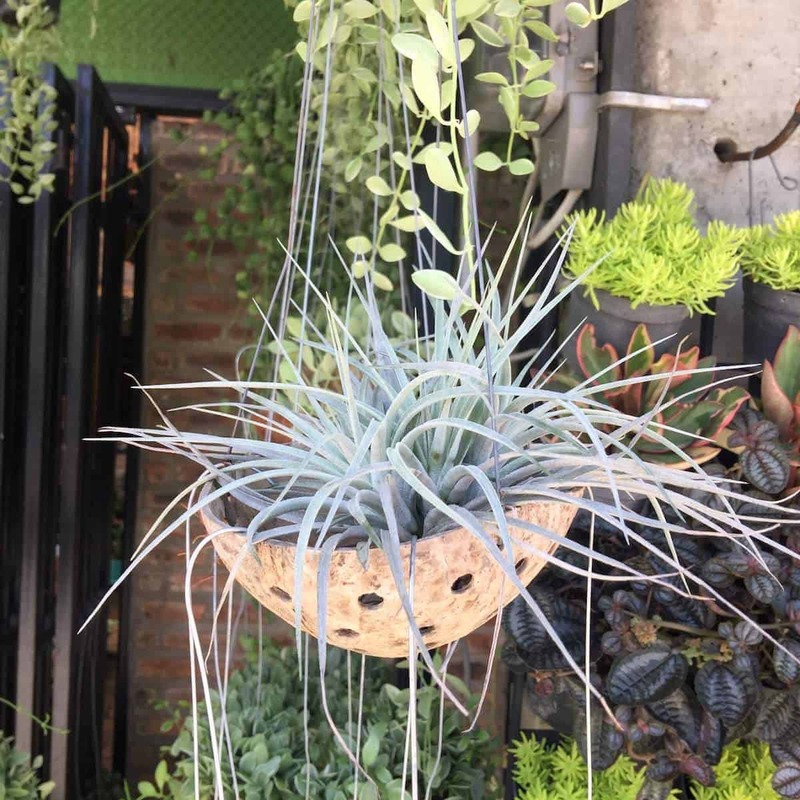 This lady builds a very unique multiple plants hanging basket. 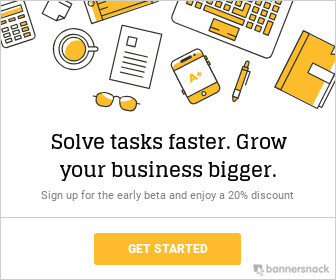 Thanks for stopping by our hanging basket plants blog post! If you have any suggestions or comments, let us know in comments. 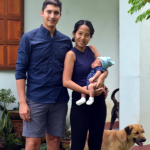 You can also contact us here or connect on Facebook, Twitter, Instagram and one day I’ll get the Pinterest going too.